There are so many fun things to do outside of Columbia including tons of music, art, festivals, and much more. Enjoy a bicycle ride through the breathtaking preservation of Spartanburg or a night of rock climbing with the family. No matter what you choose, you are bound to have a great time. Through September 17 – Trains, Trains, and more Trains at the Mauldin Cultural Center in Mauldin. This is the annual model train exhibit that will absolutely amaze you! For more information call (864) 335-4862 or visit http://www.mauldinculturalcenter.org/2016/01/20/2016-season-announced/. Through September 25 – “Beauty and the Beast” at the Peace Center in Greenville. You will be thrilled with the real life rendition of this Disney fairytale. For more information call (864) 467-3000 or visit http://www.peacecenter.org/events/detail/disneys-beauty-and-the-beast-1. September 15 – Greenville Women of Distinction at the Clemson University International Center for Automotive Research TD Gallery in Clemson. This annual fund raising event for the Girl Scouts honors special women for their professional accomplishments. For more information call (864) 770-1415 or visit http://www.gssc-mm.org/en/donate/Women/Greenville.html. September 15 – “Ben Folds and a Piano” at the Peace Center in Greenville. This multi-platinum singer/songwriter/producer, formerly of “Ben Folds Five”, has amazed fans with his new solo career of creating and exploring. For more information call (864) 467-3000 or visit http://www.peacecenter.org/events/detail/ben-folds. September 16 – “Hanks Williams Jr.” at the Heritage Park Amphitheater in Simpsonville. He’s back in South Carolina and you don’t want to miss this performance! For more information call (864) 757-3022 or visit http://heritageparkamphitheatre.com/services/hank-williams-jr/. September 16 – 17 – Symphony of Quilts at the Shaver Recreational Center in Seneca. There will be 22 categories of quilts displayed, handmade and consigned items, vendors, and a silent auction. For more information call (864) 885-2709 or visit http://www.lmqg.org/files/QS16SymphonyOfQuiltsInfo.pdf. September 16 – 17 – Spartoberfest at Jesus Our Risen Savior Catholic Church in Spartanburg. This Oktoberfest celebration will include lots of live music & entertainment, great food, and a Christmas Market to help you begin your holiday shopping. For more information call (864) 576-1164 or visit http://www.spartoberfest.com/. September 16 – 17 – Indie Craft Parade at Huguenot Mill at the Peace Center in Greenville. This event is filled with a variety of handmade art items in all types of media. For more information call (864) 679-9274 or visit http://www.makerscollective.org/indiecraftparade/. September 17 – Preservation Bicycle Ride at Strawberry Hill USA in Chesnee. Enjoy one of three different routes, with each taking a specially selected scenic route through Spartanburg County. For more information call (864) 327-0090 or visit http://www.upstateforever.org/preservation-ride. September 17 – Open Arms 5K Trail Run at Conestee Park in Greenville. Enjoy a run through this beautiful park! For more information visit http://www.openarms5k.com/Details.html. September 17 – Walk to End Alzheimer’s at Carolina Wren Park in Anderson. This is a 2 mile walk in order to raise funds and awareness about this devastating disease. For more information call (864) 699-0623 or visit http://act.alz.org/site/TR/Walk2016/SC-SouthCarolina?fr_id=9286&pg=entry. September 17 – Splash Open Water Charity Swim at Devil’s Fork State Park on Lake Jocassee in Salem. This event will include a 1.2 mile and a 2.4 mile swim. For more information call (864) 400-9967 or visit http://upstatesplash.org/openwaterswim/. September 17 – South Greenville Fair at Simpsonville City Park in Simpsonville. View farm animals and watch the judging, view chalk art, enter the BBQ contest, shop with vendors, eat tasty treats, and enjoy live entertainment. 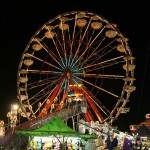 For more information call (864) 430-1412 or visit http://www.southgreenvillefair.com/. September 17 – Annual South Carolina State Old Time Fiddling Championship at the Haygood Mill Historic Site and Folklife Center in Pickens. If you enjoying the sound of a fiddle, you will absolutely enjoy this event or maybe you’ll want to enter the competition! For more information call (864) 898-2936 or visit http://www.visitpickenscounty.com/event/1484/annual-south-carolina-state-old-time-fiddling-championship-at-hagood-mill/. September 17 – 18 – Farm Fresh Fair at The Farm at Rabon Creek in Fountain Inn. This is a gathering of vintage collectors, artisans, musicians, makers, and fresh food to offer you two days of shopping, eating, and relaxing on this beautiful 80 acre farm. For more information visit http://www.thefarmatraboncreek.com/farmfreshfair. September 20 – “Meghan Trainor” at the Bon Secours Wellness Arena in Greenville. Enjoy some good recent top 40 with this fabulous entertainer and singer. For more information call (864) 241-3800 or visit http://www.bonsecoursarena.com/event/meghan-trainor/. September 21 – 23 – Walhalla Octoberfest at Sertoma Field in Walhalla. Fill your weekend with lots of German heritage activities, music, dancing, food, ales, crafts, and even a fireworks display. For more information visit http://walhallaoktoberfest.webs.com/. September 22 – 24 – Euphoria Festival in downtown Greenville. This highly anticipated event includes exclusive tasting events, intimate musical experiences, food truck rodeos, cooking demonstrations, wine seminars, delicious multi-course dinners, and live entertainment. For more information call (864) 233-5663 or visit http://www.euphoriagreenville.com/. September 22 – 24 & 29 – October 1 – “Nora’s House” at Center Stage Theatre at North Greenville University in Tigerville. This work is an experiential piece by the Executive Director and his students that deconstructs Henry Ibsen’s “The Doll House” for the contemporary audience. For more information call (864) 977-7085 or visit http://www.ngu.edu/theatre-season.php. September 22 – 25 – Spartanburg Greek Festival at the St. Nicholas Greek Orthodox Church in Spartanburg. You will find lots of good Greek food, pastries, music, dancing, and shopping. For more information visit http://www.spartanburggreekfestival.com/. September 23 – Handbags for Hope in the Huguenot Loft at the Peace Center for the Performing Arts in Greenville. The event will include heavy hors d’ oeuvres, drinks, prizes, and over 100 unique items donated for a silent and live auction. For more information call (864) 373-6306 or visit http://www.scovariancancer.org/index.php?id=6. September 23 – 24 – SOOIE Mauldin Barbecue Cook-Off at the Mauldin Cultural Center in Mauldin. Spend your Friday evening with non-BBQ items and live entertainment by “The Blue Dogs” and your Saturday tasting a variety of BBQ’s, letting the kids play in the Kids Zone, and more live entertainment by “The Piedmont Boys.” For more information call (864) 289-8903 or visit https://mauldinbbq.com/. September 24 – Pokemon Meet and Greet at the Anderson County Museum. All skill levels and ages are welcome as if you don’t know how to play, you can learn! For more information call (864) 260-4737 or visit https://www.facebook.com/events/629904897169176/. September 24 – Due West Fall Festival at the Robinson Intramural Field in Due West. Enjoy a huge yard sale, inflatables, a white elephant sale, music, vintage cars, baked goods, crafts, and food. For more information call (864) 379-2385 or visit https://www.facebook.com/DueWestFallFestival. September 24 – Concert of Hope and Remembrance at Boulevard Baptist Church in Anderson. Enjoy an evening of inspirational love songs with all proceeds to benefit local individuals struggling with cancer. For more information call (864) 222-3500 or visit http://www.cancerassociationanderson.org/concert_of_hope_and_remembrance0.aspx. September 24 – Susan G. Komen S.C. Mountain to the Midlands Affiliate Race for the Cure 5K at Heritage Park in Simpsonville. In addition to the race will be a survivor’s breakfast, and the run, as well as food truck vendors for after the race. a survivor ceremony, Jazzercise, For more information call (864) 234-5035 or visit http://scmountainstomidlands.info-komen.org/site/TR?fr_id=6440&pg=entry. September 24 – 25 – “Great Escape” at the Peace Center in Greenville. Enjoy this beautiful concert by the Greenville Symphony Orchestra! For more information call (864) 467-3000 or visit http://www.peacecenter.org/events/detail/the-great-escape. September 27 – October 2 – “A Gentleman’s Guide to Love and Murder” at the Peace Center in Greenville. This hit show was the 2014 Tony Award winner for Best Musical and is sure to make you laugh until you cry! For more information call (864) 467-3000 or visit http://www.peacecenter.org/events/detail/a-gentlemans-guide-to-love-murder. Through September 17 – “Beauty and the Beast” at the Aiken Community Playhouse in Aiken. You will surely enjoy this theatrical rendition of the famous Disney story. For more information call (803) 648-1438 or visit http://aikenplayhouse.us/shows/2016-2017-season/beauty-and-the-beast/. September 15 – Sumter Green Fall Feast at the University of South Carolina Nettles Building in Sumter. Dress in your favorite 80’s clothes and come out for an evening of music and good locally prepared foods. For more information call (803) 436-2500 or visit http://www.sumtersc.gov/fall-feast. September 16 – “Marina Lomazov” at the Etherredge Center in Aiken. This Ukrainian/American pianist has been identified as “one of the most passionate and charismatic performers” as well as “a diva on the piano” and “simply spectacular”. For more information call (803) 641-3305 or visit http://aikensymphonyorchestra.com/the-russian-romantics/. September 16 – Food Truck Friday at Fountain Park in Old Towne Rock Hill. End your week with good food, live entertainment, and even kids activities. For more information call (803) 329-8756 or visit http://onlyinoldtown.com/do/featured/45/food-truck-fridays-fountain-park. September 16 – 17 – Southern Studies Showcase at a variety of locations in Edgefield. This two day event, put on by the Old Edgefield District Genealogical Society and the Edgefield Civic League, will include a weekend of workshops and speakers, with a Friday night block party. For more information call (803) 637-1800 or visit http://www.exploreedgefield.com/events. September 16 – 17 – Coming of Age Quilt Show at Events at Manchester in Rock Hill. Come out and see some of the most beautiful quilts you’ve ever seen with demonstrations, mini-workshops, and vendors. For more information call (714) 333-5524 or visit http://yorkcountyquilters.org/events/biennial-quilt-show/. September 16 – 18 – 24 Hours of LeMons at the Carolina Motorsports Park in Kershaw and downtown Camden. Enjoy participating or watching cheap cars participate in an endurance race with the show of cars and block party on Friday in Camden before the weekend of racing. For more information call (803) 432-6448 or visit http://www.24hoursoflemons.com/events-results/article/173-lemons-south-fall. September 17 – Forest Ray 5K at the main library in downtown Sumter. This walk or run event will benefit upkeep and modifications of the library. For more information visit http://www.sumtercountylibrary.org/ForrestRay5k.htm. September 17 – Santee Indian Tribe Pow-Wow at 432 Bayview Street in Holly Hill. See some of the rituals and dancing of the Santee Indian Tribe and shop their unique Native craft wares. For more information visit https://www.facebook.com/events/551342858399032/. September 17 – Clover Auto Show and Fall Festival on Main Street in Clover. There will be lots of family fun, games, inflatables, arts and crafts, live entertainment, and much more! For more information call (803) 984-3630 or visit http://www.thecloverjaycees.com/fall-festival–auto-show.html. September 17 – BBQ Train at the South Carolina Railroad Museum in Winnsboro. View the countryside by train in an open air car while enjoying a tasty BBQ dinner. For more information call (803) 712-4135 or visit http://scrm.org/ridethetrainpage.html. September 18 – “An Afternoon with Nathalie Dupree” at the Museum of York County in Rock Hill. Enjoy refreshments and appetizers while learning how to cook Nathalie’s famous biscuits and get one of her books personally signed. For more information call (803) 981-9182 or visit http://www.visitrockhillsc.com/events/museum-of-york-county-an-afternoon-with-nathalie-dupree-2/. September 18 – 24 – Railroad Daze in downtown Branchville. Enjoy a week filled with lots of live entertainment to include a talent show and can-can girls, a pet show, a magic show, gunfights, carnival rides, a street dance, and more! For more information call (803) 274-8831 or visit http://www.raylrodedazefestivul.com/. September 22 – 23 – “The Wonderbread Years” at the Aiken Performing Arts Center in Aiken. This fast paced, hilarious production walks the line between stand-up and theater, and will provide an full evening of fun! For more information call (803) 643-4774 or visit http://www.apagonline.org/seasons/2016-2017/wonderbreadyears.html. September 23 – Festival of the Woods at Hitchcock Woods in Aiken. In honor of the history and natural resources enjoy an evening of a great locally prepared dinner and a guest speaker. For more information call (803) 642-0548 or visit http://www.hitchcockwoods.org/enjoy/festival_of_the_woods. September 23 – 24 – Home and Garden Show at the Odell Weeks Activity Center in Aiken. Find those experts you’ve been looking for to help you with those building, remodeling, landscaping and/or decorating projects you’ve been working on. For more information call (803) 644-2369 or visit www.AikenHomeShow.com. September 24 – Octoberfest in downtown Aiken. Fill your evening with German inspired food and beverages, while enjoying entertainment by an oompah band. For more information call (803) 649-2221 or visit http://www.visitaikensc.com/calendar/event/the_third_annual_oktoberfest. September 24 – Alpaca Farm Days at Carolina Prime Pastures in Pomaria. Visit with the alpacas, learn about their farm life, view alpaca art, and there will be a jump castle just for the kids! For more information call (803) 480-3750 or visit http://www.cppastures.com/. September 24 – Take a Child Outside at the Museum of York County in Rock Hill. Enjoy fall flowers, watch a butterfly release, participate in a scavenger hunt, try geocaching, and more. For more information call (803) 329-2121 or visit http://chmuseums.org/event/2047/. September 24 – Dr. Steven Fields Book-signing and Talks at the Museum of York County in Rock Hill. Meet with the curator of the museum and learn about his new book, In Your Nature: Ponderings of a Carolina Piedmont Naturalist”. For more information call (803) 329-2121 or visit http://chmuseums.org/event/2047/. September 24 – Piedmont Pottery Festival at Historic Brattonsville in McConnells. Celebrate the Souths rich pottery history and shop for pottery created by some of the best traditional potters in the region, as well as enjoying a tour of this historical site. For more information call (803) 684-2327 or visit http://chmuseums.org/event/2075/. September 24 – Aiken State Park Field Trip at Aiken State Park in Windsor. In honor of National Public Lands Day, the Augusta-Aiken Audubon Society group is sponsoring this 2.2 mile walk in search of migratory birds. For more information call (803) 215-1594 or visit http://augustaaikenaudubon.org/fieldtrips.html. September 24 – Heritage Jubilee Festival in downtown Edgefield. Enjoy a day filled with live entertainment, historical reenactors, a classic car and tractor show, a kid’s area with a rock wall, inflatables, an outdoor adventure simulator, and train rides, and much more! For more information call (803) 637-1800 or visit http://www.exploreedgefield.com/event/heritage-jubliee-2. September 24 – Fish Fry and Singing by the “King James 1611 Boys” at Friendship United Methodist Church in Rock Hill. Enjoy some good fried fish and/or chicken while enjoying some good gospel music. For more information call (803) 324-0482 or visit http://www.friendshipumc-rockhill.org/DatestoRemember. September 26 – FOTAS Golf Tournament and Helicopter Ball Drop at Woodside Plantation Country Club in Aiken. Participate in the tournament, or purchase a pre-numbered ball and if your ball dropped from the helicopter is the first to land in the hole, you will win $1,000. For more information call (603) 533-4111 or visit http://www.fotasaiken.org/golf-tournament-save-the-date/. September 27 – October 2 – Sumter County Fair at the Sumter County Fairgrounds. Enjoy livestock shows, art shows, flower shows, ride amusement rides, eat fun fair food, and much more! For more information call (803) 775-5200 or visit http://www.sumterfair.com/. October 1 – Annual S.E.E.D. at the University of South Carolina campus in Aiken. This science education enrichment day will be filled with every possible topic you can imagine, learn about everything from astronomy to beekeeping or find an interactive activity to participate in such as manning a championship robot, so this is an event you do not want to miss as there is something for everyone! For more information call (803) 641-3313 or visit http://rpsec.usca.edu/SEED/. September 13 – Field Day at the Pee Dee Research and Education Center in Florence. Get a behind the scenes tour of the research and education center and meet those individuals who run the center and learn what they do. For more information call (843) 519-0487 or visit http://calendar.clemson.edu/event/pee_dee_rec_field_day_2016#.V8Mrz5grLNO. September 15 – What Lies Beneath: Archaeology of the Pre-Drayton Era at the South Carolina Society Hall in Charleston. This presentation by the curator of Drayton Hall will talk about the on-site excavations that have taken place and what they have learned as a result. For more information call (843) 769-2627 or visit http://www.charlestoncvb.com/events/what-lies-beneath-the-archaeology-of-the-pre-drayton-era-~10722/. September 15 – Yappy Hour at James Island County Park on James Island. Enjoy entertainment by the “High Five Duo” while enjoying time with your canine and friends. For more information call (843 795-4386 or visit https://www.ccprc.com/1181/Yappy-Hour. September 15 – Music on Main: “Midnight Alley” on the Horseshoe in North Myrtle Beach. Enjoy an evening of dancing with this fun and entertaining band! For more information call (843) 280-5570 or visit http://parks.nmb.us/festivalsevents/concerts/music-on-main-concert-series/. September 15 – 17 – Zugunruhefest at the Avian Conservation Center/Center for Birds of Prey in Awendaw. This weekend is the Southeast’s most comprehensive migration focused birding festival and with our location along the Atlantic flyway we have prime opportunities to enjoy fall bird migration of raptors and shore birds. There will be boating and walking trips, as well as a variety of onsite activities available for kids and adults alike, as well as food vendors. For more information call (843) 891-7474 or visit http://www.thecenterforbirdsofprey.org/zugunruhefest/. September 15 – 18 – Charleston Scottish Games and Highland Gathering at Boone Hall Plantation in Charleston. The weekend will begin with Scotch Whiskey tasting at Gage Hall followed by a Highlands Ball at The Mills House Wyndham Grand Hotel, then the Scottish games begin at Boone Hall with live entertainment by bands such as “Rathkeltar”, pipping and drumming, dancing, children’s activities, and lots of vendors serving beverages, good, and wares. For more information call (843) 884-4371 or visit http://www.charlestonscots.org/. September 16 – Sounds of Summer Concert Series: “Andrew Thielen Big Band” at the North Myrtle Beach Park and Sports Complex in North Myrtle Beach. Enjoy the last concert of the summer with the sounds of “big band”. For more information call (843) 280-5570 or visit http://parks.nmb.us/festivalsevents/concerts/sounds-of-summer-concert-series/. September 16 – Moonlight Mixer at the Pier at Folly Beach. Enjoy one last evening on the Pier while dancing the night away. For more information call (843) 795-4386 or visit https://www.ccprc.com/1618/Moonlight-Mixers. September 16 – 17 – Pamplico Cypress Festival on Main Street in Pamplico. Enjoy amusement rides, live entertainment, a street dance, arts and craft vendors, good food and good fun. For more information call (843) 687-3349/(843) 493-5551 or visit http://www.townofpamplico.com/cypress_festival. September 16 – 17 – Catfish Festival at the Hardeeville City Hall in Hardeeville. Enjoy a weekend filled with activities, such as a parade, a 5K, a fishing tournament, a cook-off/bake-off, live entertainment, and much, much more! For more information call (843) 368-1706 or visit http://www.hardeevillecatfishfestival.com/. September 17 – Barrier Island 5K Run/Hike at St. Christopher Camp and Conference Center in Johns Island. Enjoy a run on this beautiful barrier island. For more information call (843) 364-2171 or visit http://go-greenevents.com/event/id/5072. September 17 – Southeast Crab Festival at Fennell Elementary School in Yemassee. Enjoy all you can eat blue crab, fish and chips, while enjoying music and family related activities. For more information visit http://www.eventbrite.com/e/southeast-crab-feast-yemassee-sc-tickets-21681556118?ref=ebtnebtckt. September 17 – Italian Heritage Festival at the Coastal Discovery Museum on Hilton Head Island. Enjoy a day filled with Italian music and fabulous food. For more information call (412) 897-1148 or visit http://iachh.org/festival.html. September 17 – Ride the Tide beginning at Litchfield Plantation Marina and ending at Hagley Landing on Pawley’s Island. Float 4 miles down the Waccamaw River followed by an after party at Pawley’s Raw Bar with proceeds from the event benefiting the Smith Medical Clinic. For more information call (843) 333-6178 or visit http://www.givingitforwardtogether.com/events.html. September 17 – Harvest Hoe Down Festival at the Aynor Town Park in Aynor. Find hundreds of arts, craft, and food vendors; a parade; children’s activities; live entertainment; and even a street dance! For more information call (843) 358-1074 or visit http://www.aynorharvesthoedown.org/. September 17 – South Carolinas Beard Club Annual Beard and Mustache Competition at the Rockin’ Hard Saloon in Murrells Inlet. This guarantees to be an enjoyable, hairy event and will even include a women’s competition for those creative women who want to “create” a beard or mustache out of unique materials. For more information call (843) 340-6564 or visit https://www.facebook.com/events/577037975790102/. September 17 – Money Fair at the Alfred Williams Community Center in North Charleston. Learn to take control of your finances and set goals for yourself with these financial experts and gurus. For more information call (843) 225-4343 or visit http://increasinghope.org/money-fair-2016/. September 18 – Latinos Unidos Food Festival at Shelter Cove Park on Hilton Head Island. Enjoy lots of tasty Latin American foods with the proceeds benefiting the Volunteers in Medicine Clinic! For more information call (843) 689-6612 or visit https://vimclinic.org/latinos-unidos-event-page. September 18 – Living Green Fest at James Island County Park on James Island. Learn how to be more conservation, health and wellness conscious through demonstrations, interactive play and music, and education shared by experts while enjoying good food, music, and Lowcountry artisans works. For more information call (843) 795-4386 or visit https://www.ccprc.com/1668/Living-Green-Fest. September 19 – Par Fore Kids Pro Am Classic at May River Golf Club in Bluffton. Proceeds will benefit the Boys and Girls Club of Bluffton. For more information call (843) 689-5565 or visit http://www.bgclowcountry.org/bluffton-events. September 21 – Wine Down Wednesday at Old Towne Creek County Park in Charleston. Enjoy a relaxing evening at this “hidden gem” in West Ashley with wine, food truck fare, and live entertainment. For more information call (843) 795-4386 or visit https://www.ccprc.com/1724/Wine-Down-Wednesday. September 22 – Music on Main: “Rick Strickland Band” on Main Street in North Myrtle Beach. Spend an enjoyable evening relaxing with the live entertainment of this talented band. For more information call (843) 280-5570 or visit http://parks.nmb.us/festivalsevents/concerts/music-on-main-concert-series/. September 22 – 25 – Tobacco Festival at the Village Green and downtown Lake City. Enjoy activities such as a catfish tournament, a BBQ cook-off, a watermelon carving contest, a watermelon seed spitting contest, amusement rides, a street dance, and more! For more information call (843) 374-8611 or visit http://www.lakecitysc.org/events/details/2016-south-carolina-tobacco-festival-09-22-2016-361. September 23 – 24 – Hartsville Fiddlers Convention at the Convention Center Theater in Hartsville. Enter the competition for dobro, guitar, banjo, mandolin, or fiddle or just come out and watch the competition. For more information call (843) 340-6524 or visit http://www.hartsvillefiddlersconvention.com/. September 23 – 25 – Atalaya Festival at Huntington Beach State Park in Murrell’s Inlet. Enjoy viewing wares from more than 110 of the finest artisans and crafters in the country, as well as good food and live entertainment. For more information call (843) 734-0767 or visit www.AtalayaFestival.com. September 23 – 25 – Southern Women’s Show at the Charleston Area Convention Center in Charleston. Enjoy the ultimate shopping experience, fashion shows, cooking classes, and so many more fun activities with a guest appearance by handsome “Val Chmerkovskiy”, Season 20’s Dancing with the Stars winner who will actually dance for you! For more information call (704) 376-6594 or visit https://southernshows.com/wcs. September 24 – Pedal 4 Kids Community Ride at Hilton Head High School on Hilton Head Island. This family friendly event will have 5 distinct routes to choose from with all proceeds to benefit the Boys and Girls Club of Hilton Head. For more information call (843) 422-5962 or visit http://pedal4kids.org/. September 24 – Gatsby Gala at the Charleston Marriott on Lockwood Boulevard in Charleston. Dawn your 1920’s or cocktail attire and enjoy an evening of live entertainment, dinner, dancing, libations, and a silent and live auction. For more information call (843) 747-4099 or visit http://lowcountryorphanrelief.org/events/gatsby-gala/. September 24 – Rally for Recovery at Timrod Park in Florence. Celebrate and support those with long sobriety from substance use while enjoying live entertainment, free hotdogs and beverages, face painting and more. For more information call (843) 453-2296 or visit http://www.facesandvoicesofrecovery.org/events/2016/09/rally-recovery. September 24 – Little Mozart Circus in Marion Square in Charleston. This free event will showcase musical education opportunities in the area to include a variety of student ensemble performances, browse a variety of informative tents, schools and music teachers, play games, win prizes, and try instruments at the “instrument petting zoo”. For more information call (843) 763-4941 or visit http://chambermusiccharleston.com/index.php/little-mozart-circus-2/. September 24 – Irish Italian International Festival on Main Street in North Myrtle Beach. Enjoy food from local restaurants, two stages with live entertainment, street performers, arts & craft vendors, and dance groups with all revolving around an Irish Italian International theme. For more information call (843) 280-5570 or visit http://parks.nmb.us/festivalsevents/festivals/irish-italian-international-festival/. September 24 – 25 – Adaptive Recreation Expo Weekend in Folly Beach. This weekend will introduce a variety of adaptive sports and leisure activities to encourage those with physical limitations to try something new, with Saturday providing a surfing clinic at Folly Beach County Park and Sunday offering a variety of fun activities to try, watch wheelchair basketball, and/or dance demonstrations at James Island County Park. For more information call (843) 795-4386 or visit https://www.ccprc.com/2070/Adaptive-Recreation-Expo-Weekend. September 24 – 25 – Seacoast Artists Guild Art in Common Fall Festival at Valor Park in Myrtle Beach. Find a range of handcrafted items for sale, to include photography, drawings, painted arts, jewelry, pottery, stone, wood, and glass crafts. For more information call (843) 748-0133 or visit http://theartsmyrtlebeach.org/event/seacoasts-art-in-common-fall-festival/. September 24 – October 15 – Pawley’s Island Festival of Music and Art at a variety of locations on the Island. The event will include visual arts as well as musicians and concerts, to include artists such as “Peabo Bryson”. For more information call (843) 626-8911 or visit http://pawleysmusic.com/. September 25 – Wine Women and Shoes at the Francis Marion Hotel in Charleston. Enjoy designer shopping, savory food bites, wine tasting, and a fashion show. For more information call (843) 722-7526 or visit http://www.winewomenandshoes.com/flocrit. September 26 – October 2 – Myrtle Beach Bike Week Fall Rally in Murrells Inlet and Myrtle Beach. Enjoy a week filled with lots of fun and entertaining activities! For more information call (336) 643-1367 or visit http://www.myrtlebeachbikeweek.com/events/fall-rally/. September 30 – Great Gasby Gala at the Summerville County Club in Summerville. Enjoy heavy hors d’oeuvres, open bar, and live entertainment with proceeds to benefit the Dorchester Children’s Center. For more information call (843) 875-1551 or visit http://www.dorchesterchildren.org/index.php/events/kitchen-tour. October 1 – Showdown on the Square Chili Cook-Off at the Darlington Public Square in Darlington. Enjoy the weekly Market on the Square with produce, plants, music and more, followed by taste testing a variety of chili and see which one is your favorite! For more information call (843) 398-4000 or visit https://www.facebook.com/events/148760222166209/. October 2 – Scrumptious Summerville in the Guilford Gates neighborhood in Summerville. View custom built homes while sampling food by noted Lowcountry restaurants and executive chefs, while enjoying live entertainment and beautiful arrangements by local florists and designers. For more information call (843) 875-1551 or visit http://www.dorchesterchildren.org/index.php/events/kitchen-tour.